Never go without a charged battery by keeping a Joye 510 Home Charger at your disposal to keep your batteries charged and ready to use! Please Note: Charging the e cigarette batteries over night may cause battery failure due to overcharging. 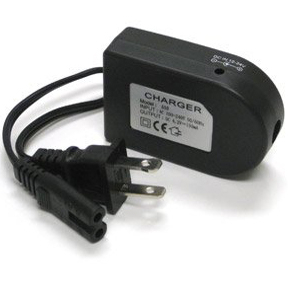 Once you have attached your dead battery to the Joye 510 Home Charger the light on the charger will turn red indicating that your battery is charging. When the battery is full the light on the charger will turn green. Once your battery is full remove the battery from the charger immediately as over charging your battery will cause permanent damage.